I was recently called upon to replace both front wheel bearings on a 2001 Rear wheel drive Ford Transit chassis cab. While this job is fairly straight forward, there are a few pitfalls. The first is wrongly assuming that you can simply tap off the bearings from the hubs and push the new ones on in a vice…. Err.. very unlikely indeed as the bearings are often seized into the carrier and the rotating hub is so tight it is almost ‘as one’ with the bearing inner race. We have a local engineering company that did ours both for £20 – after spending over two hours of giving it ‘everything we had’ They are competent guys and have a very big hydraulic press and the necessary access to oxy-acetylene heating/cutting apparatus. The other problem you may encounter is if the bearing carrier bolts will not unfasten through the access holes in the hub flange. Even worse, if you strip the Torx head socket on the bolt head, as this will leave you in a situation where the carrier cannot be removed, at least without drilling out the fixing. Incredibly problematic, as access is recessed and really poor overall because everything is hidden behind the hub/brake disc. Now the frightening bit is over with – actually doing the job, is as I mentioned before, is fairly straight forward. Set the handbrake and select a low gear. From the hub centre, remove the split pin and locking cage from the 36mm hub nut. 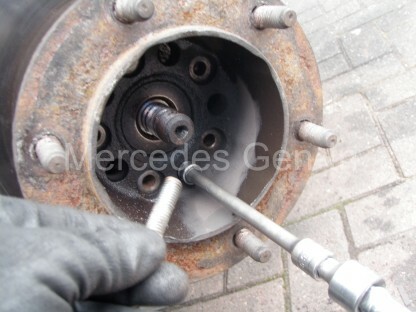 Using a suitable deep socket and lengthy breaker bar, undo and remove the hub nut and washer. 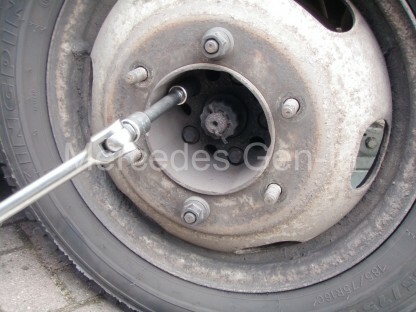 Using a 13mm hexagon socket loosen the five brake disc to hub fixing bolts visible on the hub face. Loosen the road wheel nuts and jack up the vehicle at the front, positioning the jack cup securely at the point where the lower wishbone meets the subframe cross member. Remove the road wheel. Knock through the hub centre splined axle pin and extract it from behind the hub. Selecting the correct full lock, turn out the hub so that full access can be gained to the two 18mm brake caliper carrier bolts. Use a breaker bar, loosen and remove them. 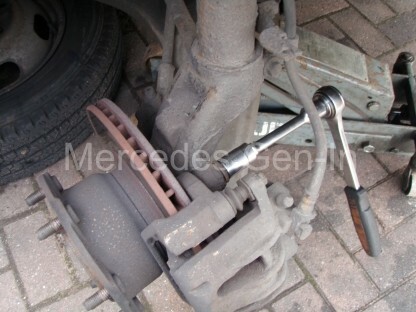 Slide the complete brake caliper out and off the brake disc, tucking it behind the hub on the lower wishbone. Select a long 3/8 socket extension and ratchet to use with a torx adapter kit and insert the correct size through the five drilled holes in the wheel hub. Once the first hole is aligned correctly (use a torch if necessary) all the remaining holes will align with the individual bearing carrier bolts that lie behind. Use plenty of penetrating oil on the five torx cap head bolts, you can also spray them at the rear, as they are through drilled and hopefully some of the oil will reach the threads and assist you in removal. 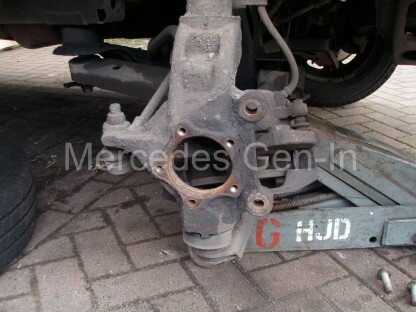 Once these bolts are removed also remove completely the five brake disc bolts and place them to one side. Orientate the brake disc as far back to the suspension leg as possible to enable you to swing a stout hammer or lump hammer, striking the back edge of the hub flange. 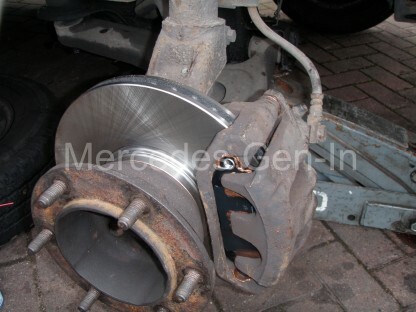 If you don’t remove the brake disc, you will be likley to hit the disc with the hammer and if you are going to re-use it, this is not recommended. Eventually the hub bearing carrier will release from the large hole in the hub swivel. You may have to hit either side of the hub to get it to work loose, but it will get it to a point where it can be removed/knocked out. 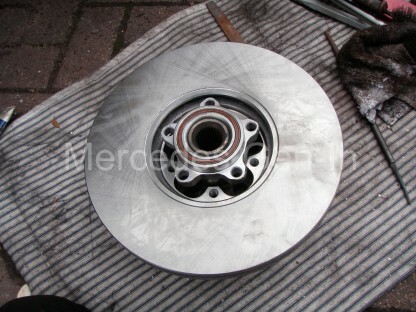 Once removed, the brake disc can be rotated slightly and manoeuvred over the bolt hole flanges of the bearing carrier, leaving the hub and bearing carrier as a single unit. The new bearing is supplied as a twin roller bearing pressed into a new carrier casting. This is machined to fit directly back into the hub swivel. At this point you should choose to take the complete hub/bearing to your chosen specialist, unless of course you are equipped with large scale commercial grade tools and a professional hydraulic press! 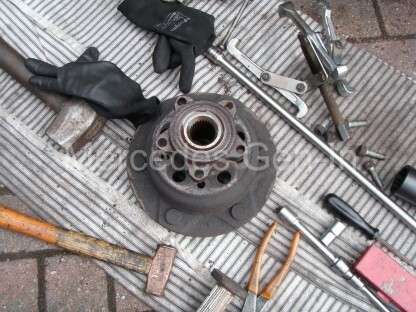 Once the hub has its new bearings in place, the brake disc can be refitted and the hub assembly bolted back to the swivel with the kit of five new bolts that are usually supplied with the bearing kit. Rebuilding the rest of the assembly is a direct reversal of removal. 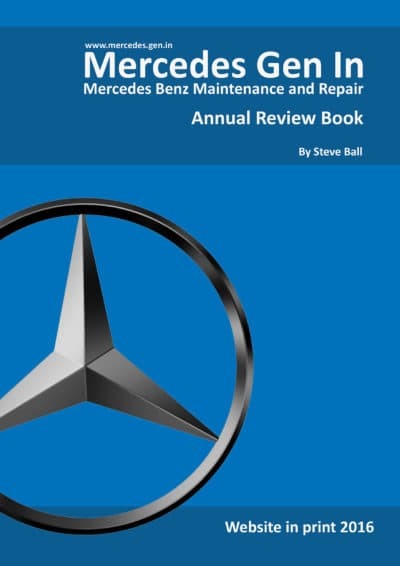 It is however essential that the hub nut is only finally tightened once the vehicle is back on the ground, refitting the locking castle and split pin to complete the job.